POLYPACK uPVC pipes and Fittings are best installed using the correct Solvenet Cement for the said productss. 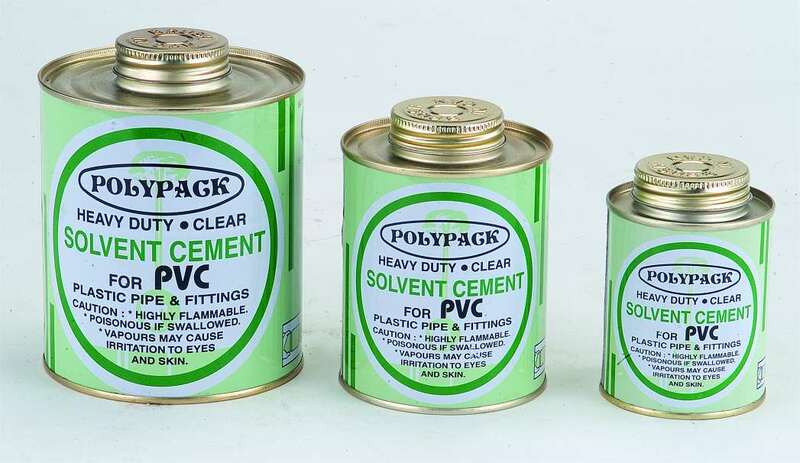 POLYPACK manufactures high strength clear Solvent Cement for uPVC pipes and Fittings. This is specially designed to cater to indian installation environments where comfortable time is required by workmen to install the pipe before the cement dries up. For jointing of CPVC Pipes and Fittings - High Temp Resistant and High Yield Strength "Yellow" CPVC solvent is available with us.